Although Flying Blue is touted as the frequent flyer program for Air France and KLM, several other airlines also use the program, including Air Europa, Kenya Airways and TAROM. It’s a flexible program, since it has members from all three of the major airline alliances, as well as some nonalliance carriers. Flying Blue can be complicated, in part because of the sheer quantity of its members. Since the program represents so many airlines, the way it defines some of its fare regions can be unexpected. But that can work in your favor, allowing for some valuable redemptions. 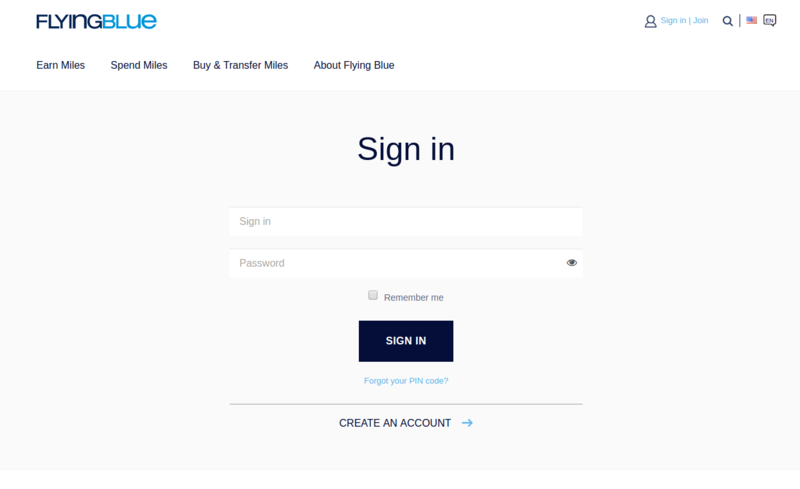 Getting Flying Blue miles is easy, because it is partners with several U.S.-based programs, including American Express Membership Rewards, Citi ThankYou and Starwood Preferred Guest. When Should You Use Flying Blue Awards? You’ll get the best value for your miles for coach redemptions. Business class awards are often overpriced, while some coach tickets are unbeatable. Strangely, Hawaii is lumped in with the Caribbean. A round-trip economy ticket between Hawaii and the Dominican Republic, for example, costs only 30,000 miles. 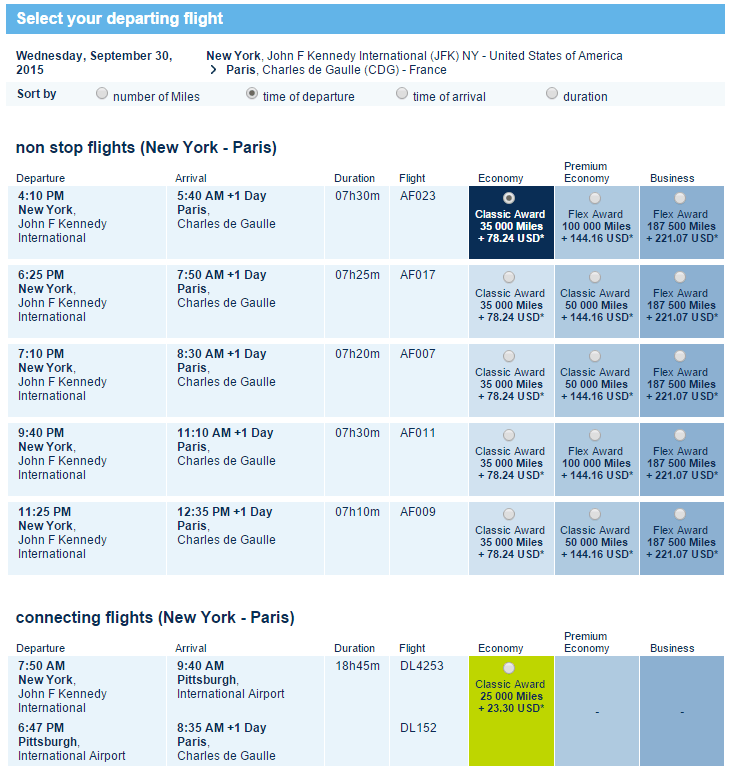 Round-trip flights in economy between the U.S. and French Polynesia are a bargain at only 60,000 miles. Flights between the U.S. and northern South America are only 35,000 miles roundtrip. Flights to the rest of South America are only 50,000 miles. Be sure to keep an eye out for Flying Blue’s monthly Promo Awards. They offer discounts between 25 and 50 percent on flights in various regions. Go to the Flying Blue Web page, and log in. Enter your flight information, and click “FIND FLIGHTS.” Remember to check “You are looking for a flight around these dates” to see the most flight options. On the next screen, choose your flight dates. Be sure to pay attention to the taxes and fees, since they will vary by airline. If you want to check other dates, click “show earlier dates” or “show later dates” at the bottom of the calendar. 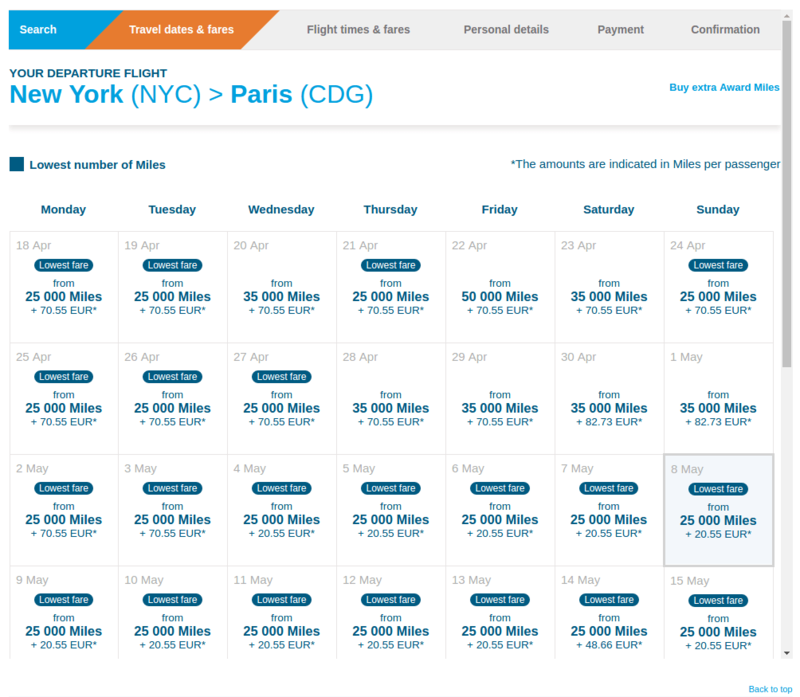 Click “NEXT, SELECT FLIGHT” after selecting a date. Once you’ve decided on the date, you’ll need to pick the flight. 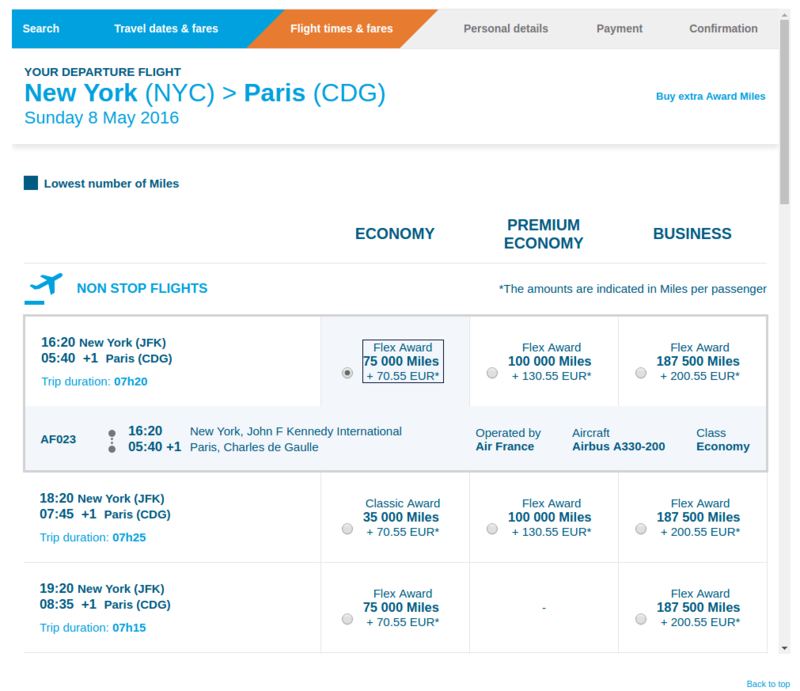 In the example below, you have the option of flying direct on Air France, or paying less while making one connection on Delta. 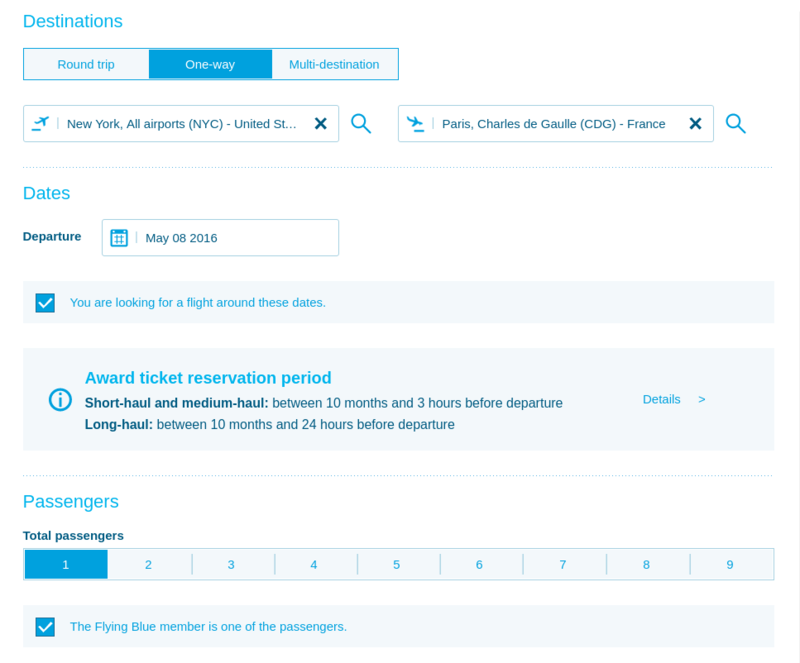 After choosing, click “NEXT, FILL IN PASSENGER DETAILS” to see the trip overview. If you have enough miles, you’ll be given the option to pay for the taxes and fees, and finalize your booking. Flying Blue’s U.S. office is in New York. It’s open from 8 a.m. to 9 p.m. on Monday through Saturday, and 10 a.m. to 6 p.m. on Sunday. Flying Blue’s customer support can be quite good, but it can sometime be difficult to book complex itineraries, particularly on lesser-known airlines. Try to research to find the flights you want in advance of calling. Then you can feed that information to the agent.